Looking for a signature summer party drink? Our Lavender Lemonade is a fresh pick. Not only does lavender add an interesting floral note to this homemade lemonade, but it also makes a lovely presentation. 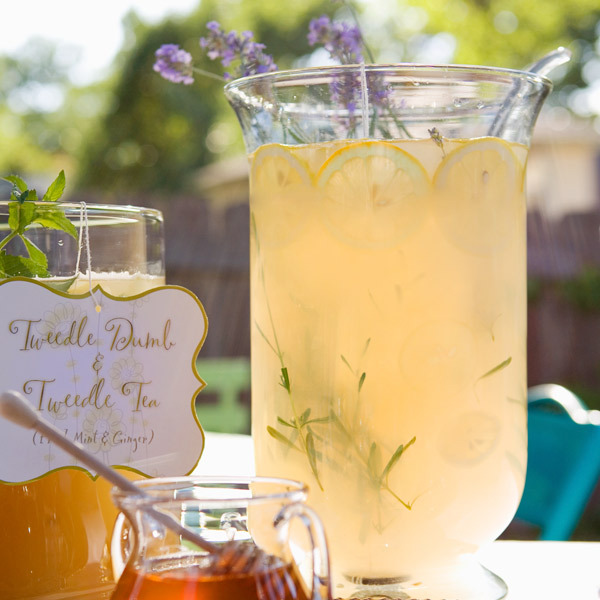 This easy Lavender Lemonade recipe makes 9 quarts, so you and your guests can sip, sip, sip away sweltering summer days. In a large saucepan, bring 4 quarts of water to a boil. Add the lavender and let steep for 30 to 45 minutes. Strain and stir in the sugar, stirring until dissolved. Add the lemon juice and remaining 4 quarts water. Taste and adjust sour and sweet levels. Refrigerate until well chilled.